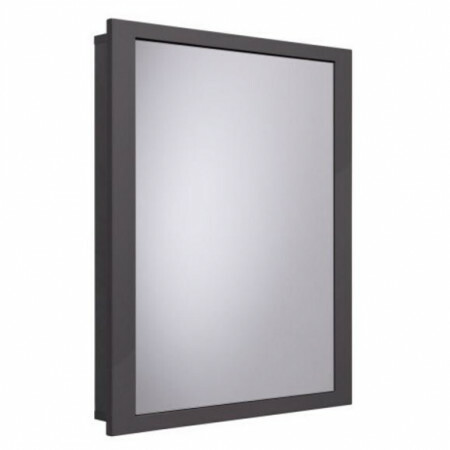 This Roper Rhodes Scheme 640mm Recessed Cabinet for Stud Walls features a single mirrored door with a gloss dark clay surround. 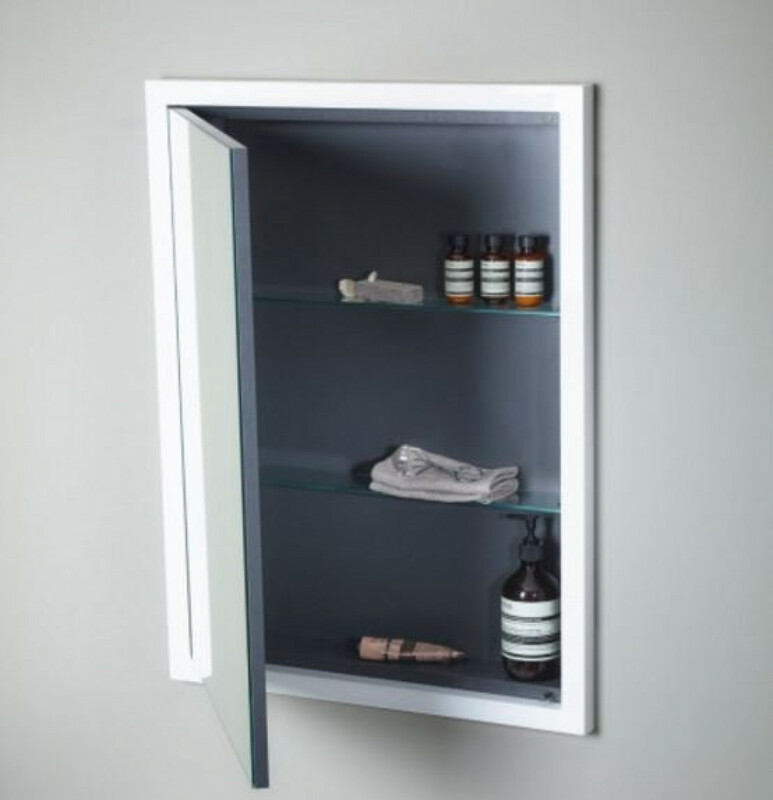 The single door is fully reversible and is fitted with a push to open catch. The recessed cabinet comes complete with 2 internal glass shelves that provide ample storage and has a smart matt grey interior, the outside of the cabinet is finished in gloss dark clay and blends in perfectly with any room setting, the cabinet is designed to be fitted in to a stud wall and has a depth of 75mm.